It is a drinking cup with a semi-circular ledge inside. 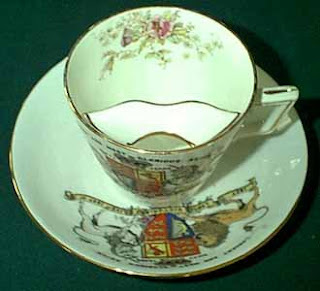 The ledge has an opening to allow the passage of liquids..for example tea, and to keep moustaches dry. It is tought that it was invented around 1830 by British potter Harvey Adams.